It’s common for Christians to compare the relationship between humanity and God to that between husband and wife. God is the “man” of the house to whom humanity owes obedience, respect, and honor. Usually, this relationship is portrayed as one of love, but in far too many ways, God is more like an abusive spouse who only knows how to love through intimidation and violence. A review of classic signs and symptoms of spousal abuse reveals how abusive the “relationship” people have with God is. 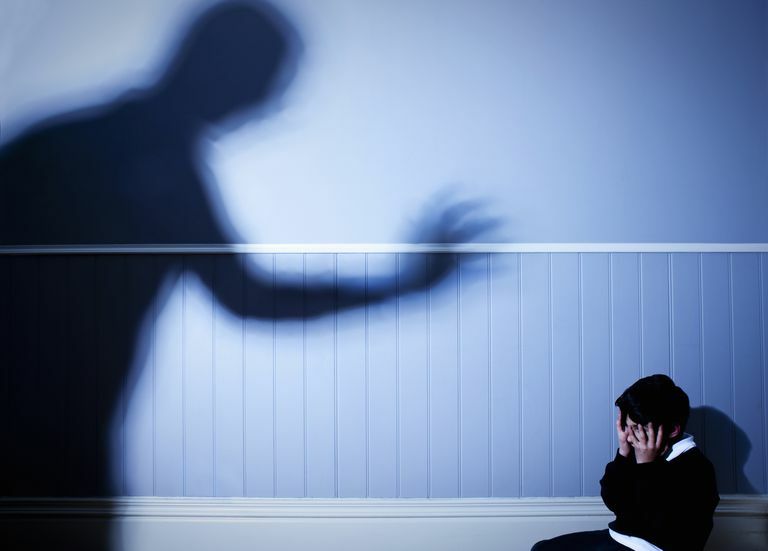 Abusers instill fear in their spouses; believers are instructed to fear God. Abusers are unpredictable and given to dramatic mood swings; God is depicted as alternating between love and violence. Abused spouses avoid topics which set off the abuser; believers avoid thinking about certain things to avoid angering God. Abusers make one feel like there is no way to escape a relationship; believers are told that there is no way to escape God’s wrath and eventual punishment. Violence is a primary means by which abusers communicate, even with their spouses whom they are supposed to love. Abusers aren’t just violent towards their spouses — they also use violence against objects, pets, and other things to instill more fear and to force compliance with their wishes. God is portrayed as using violence to force people to comply with certain rules, and Hell is the ultimate threat of violence. God might even punish an entire nation for the transgressions of a few members. In order to exercise greater control over a victim, abusers will withhold important resources in order to make the victim more dependent. Resources used like this include money, credit cards, access to transportation, medications, or even food. God is also depicted as exercising control over people by controlling their resources — if people are insufficiently obedient, for example, God may cause crops to fail or water to turn bad. The basic necessities of living are conditioned on obeying God. A further means of exercising control over a victim is instilling feelings of inadequacy in them. By getting them to feel worthless, helpless, and unable to do anything right, they will lack the self-confidence necessary to stand up to the abuser and resist the abuse. Believers are taught that they are depraved sinners, unable to do anything right and unable to have good, decent, or moral lives independent of God. Everything good that a believer achieves is due to God, not their own efforts. Part of the process of encouraging the victim to feel inadequate involves getting them to feel that they really do deserve the abuse they are suffering. If the abuser is justified in punishing the victim, then the victim can hardly complain, can she? God is also described as being justified in punishing humanity — all people are so sinful and depraved that they deserve an eternity in hell (created by God). Their only hope is that God will take pity on them and save them. Another part of the process of making the victim feel inadequate is ensuring that they know how little the abuser trusts them. The victim is not trusted to make her own decisions, dress herself, buy things on her own, or anything else. She is also isolated from her family so that she can’t find help. God, too, is depicted as treating people as if they were unable to do anything right or make their own decisions (like on moral issues, for example). Although abusers encourage victims to feel inadequate, it is the abuser who really has problems with self-confidence. Abusers encourage emotional dependency because they are emotionally dependent themselves — this produces extreme jealousy and controlling behavior. God, too, is depicted as dependent upon human worship and love. God is usually described as jealous and unable to handle it when people turn away. God is all-powerful but unable to prevent the smallest problems. Victims are typically made to feel responsible for all of an abuser’s actions, not just deserving of the punishments inflicted. Thus, victims are told that it’s their fault when an abuser gets angry, feels suicidal, or indeed when anything at all goes wrong. Humanity is also blamed for everything that goes wrong — although God created humanity and can stop any unwanted actions, all responsibility for all evil in the world is laid entirely at the feet of human beings. Why Do Abused People Stay With Their Abusers? Why do women stay with violent, abusive spouses? Why don’t they just pack up and leave, making a new life for themselves elsewhere and with people who actually respect and honor them as equal, independent human beings? The signs of abuse described above should help in answering these questions: women are so emotionally and psychologically beaten down that they lack the mental strength to do what is necessary. They don’t have enough confidence to believe that they can make it without the man who keeps telling them that only he could possibly love such an ugly and worthless person such as they. Perhaps some insight on this can be gained by rephrasing the question and asking why people don’t abandon the emotionally and psychologically abusive relationship they are expected to develop with God? The existence of God isn’t relevant here — what matters is how people are taught to perceive themselves, their world, and what will happen to them if they make the mistake of trying to leave the relationship in order to make a better life for themselves elsewhere. Women who are abused are told that they can’t make it on their own and if they try, their spouse will come after them to punish or even kill them. Believers are told that they can’t accomplish anything of value without God, that they are so worthless that only because God is infinitely loving does he love them at all; if they turn their backs on God, they will be punished for all eternity in hell. The sort of “love” which God has for humanity is the “love” of an abuser who threatens, attacks, and commits violence in order to get his own way. Religions like Christianity are abusive insofar as they encourage people to feel inadequate, worthless, dependent, and deserving of harsh punishment. Such religions are abusive insofar as they teach people to accept the existence of a god which, if human, would have long ago been shut away in prison for all his immoral and violent behavior.